Read the following articles and respond below. We consulted famed Harvard symbologist Dr. Hugh Janus, who explained that this group is known as the Illuminati, so named because they Illuminate and rule the world in anonymity. But how do they stay so far under the radar? Apparently, the Illuminati are able to dictate world affairs though the use of a complex series of messages that are hidden all around us. Dr. Janus shared with us the key to breaking the code of the Illuminati. Take for example a simple everyday ten dollar bill. If you are lucky, you have one in your wallet or purse right now. Take it out and compare it to this chart. You'll see that the symbols Dr. Janus highlights are indeed right there on your bill. 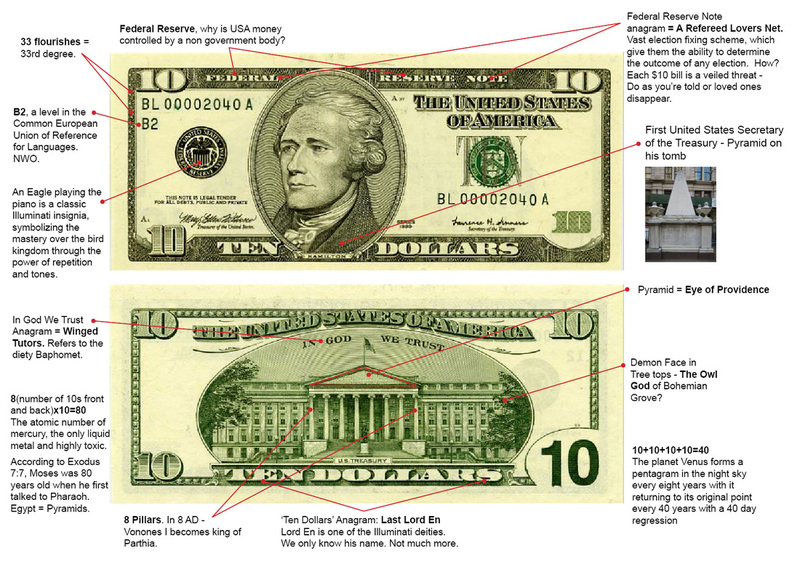 Below is a point by point breakdown of the hidden code and messages placed in the ten dollar bill by the all powerful group known as the Illuminati. Michael Jackson, the King of Pop, died on June 25, 2009. The Los Angeles County Coroner declared Michael's death a homicide caused by drugs that had been administered to him. Dr. Conrad Murray was charged with his death. And if the Illuminati had their way, that would be the end of the story. But the truth is much more sinister. 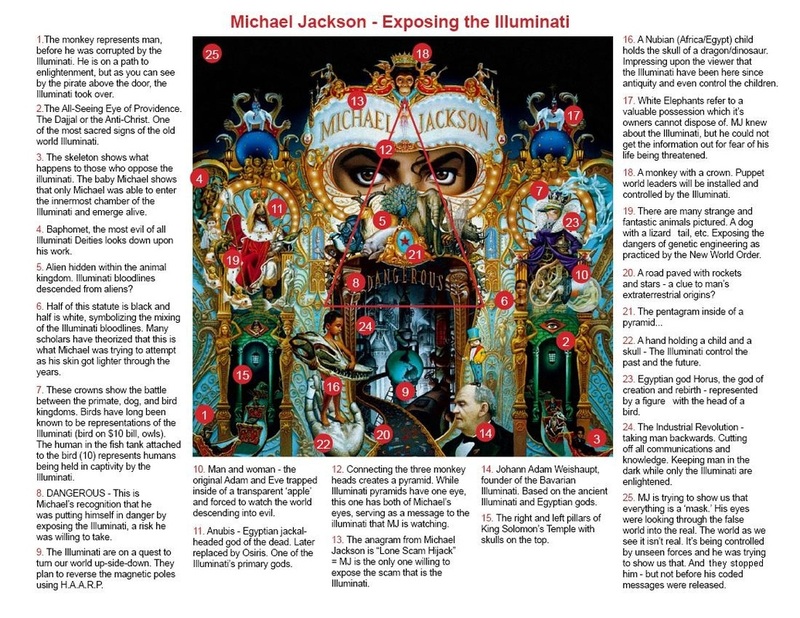 Conrad Murray is simply a scapegoat of the Illuminati. Postscript: The Illuminati are most likely mobilizing right now to stop our message of knowledge. Educate yourself, because knowledge is power. It is only a matter of time before they shut this site down in an attempt to silence us. Please forward this link to everyone you know. We have to get this message of truth out before we become the next target of the Illuminati. Click Here to open the classwork in a new tab, or use the form below. Classwork: Answer the following questions using examples from the text and graphics above.